Called “the black Sundance” by Ebony Magazine, the BlackStar Film Festival returns to Philadelphia for a 5th year, August 4-7, celebrating film by and about people of African descent and the varied landscape of black life. The only event of its kind in Philadelphia features over 60 feature and short films from five continents. This year’s theme is migration and highlights of the festival include opening night feature Tell Me Something by Akin Omotoso, two feature films shot entirely on iPhones, and Richard Nichols Luminary Award presented to filmmaker Julie Dash. All screenings take place at International House Philadelphia, 3701 Chestnut Street, Philadelphia unless otherwise noted. 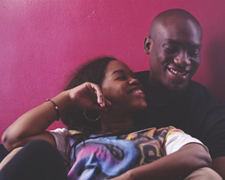 Pictured: 72 Hours: A Brooklyn Love Story, courtesy of BlackStar Film Festival. 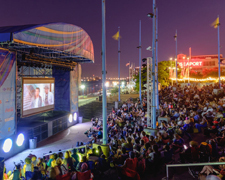 Enjoy festive summer fun on the riverfront: Screenings Under the Stars, Thursday nights in August beginning at dusk at Great Plaza. The Waterfront Sessions Live Music Series takes place on Thursday, August 4, 6:30pm, with Chris Forsyth and the Solar Motel Band and Birds of Maya at Spruce Street Harbor Park. Smooth Jazz Summer Nights Friday night concerts begin with Avery*Sunshine, Friday, August 5, 7:30pm. DJ Spinderella’s Rollin’ on the River Birthday Bash rocks the Blue Cross Riverrink’s Summerfest, Saturday, August 6, 9pm. The 9th Annual ACANA (African Cultural Alliance of North America) Festival features nonstop music, food, games, and activities for the whole family, Sunday, August 7, 2pm-8pm at Great Plaza, 101 S. Columbus Boulevard at Market Street, Philadelphia. Photo courtesy of the Delaware River Waterfront Corporation. 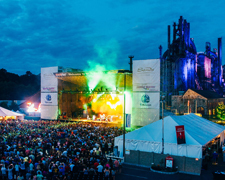 Musikfest, the nation’s largest free music festival, is back for its 33rd year, August 5-14, with 500-plus shows on 16 indoor and outdoor stages (free concerts on 15 of 16 stages) throughout the City of Bethlehem, Pennsylvania. Among this year’s performers are Lady Antebellum, Don Henley, BOSTON, Lucky Chops, Here Come The Mummies, MarchFourth Marching Band, Jameson Rodgers, Ginkgoa, Gedeon Luke & the People, The Accidentals, Slingshot Dakota, Cold Fronts, Mariachi Flor de Toloache, Ceramic Animal, Chubby Carrier, Joe Grushecky, The Pine Leaf Boys, Blair Crimmins and the Hookers, Sierra Hull and The Insidious Rays. The festival also features 60 food vendors, 45 artisans, street performers and tons of family fun. Photo by Ted Colegrove. 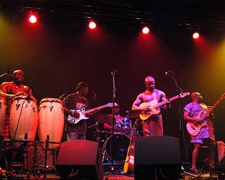 The Philadelphia Museum of Art hosts Art After Five with the powerful sounds of the Afro-rock band Jabali Afrika (pictured), Friday, August 5, 5pm-8:45pm. On Sunday, August 7, enjoy a Family Festival: Sights & Sounds, 10am-5pm, with the Liberian Women’s Chorus for Change, included with admission, 2600 Benjamin Franklin Parkway, Philadelphia. The world premiere of Theatre Exile’s Tommy and Me takes to the stage at FringeArts, through August 14. 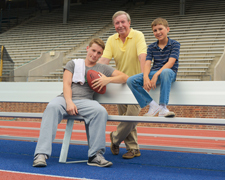 After a sold-out world premiere reading in May 2015, the full-scale production centers around sports writer Ray Didinger’s relationship with Tommy McDonald, who played for the Eagles, and how he helped is boyhood hero reach his goal of induction into the Pro Football Hall of Fame. The special engagement autobiographical play is directed by Founding Artistic Director Joe Canuso with Bruce Graham as script consultant and stars Theatre Exile’s Associate Artistic Director Matt Pfeiffer, Tom Teti, and Simon Canuso Kiley, 140 N. Columbus Boulevard, Philadelphia. Photo by Robert Hakalski. Photo courtesy of Theatre Exile. An exhibit of visually arresting photographs by famed Philadelphia-born photographer Steve McCurry are on display at the James A. Michener Art Museum through October 23. Unguarded, Untold, Iconic: Afghanistan through the Lens of Steve McCurry offers thought-provoking perspectives on Afghan culture, food, religion, and history and features the iconic image Afghan Girl that captivated the world in 1985, as well as dozens of others captured by McCurry in Afghanistan during the last 35 years. A selection of work from ImagineAsia’s Young Women’s Photography Initiative, rugs designed by Afghan women, and passages from James A. Michener’s historical novel Caravans, accompany the exhibition. 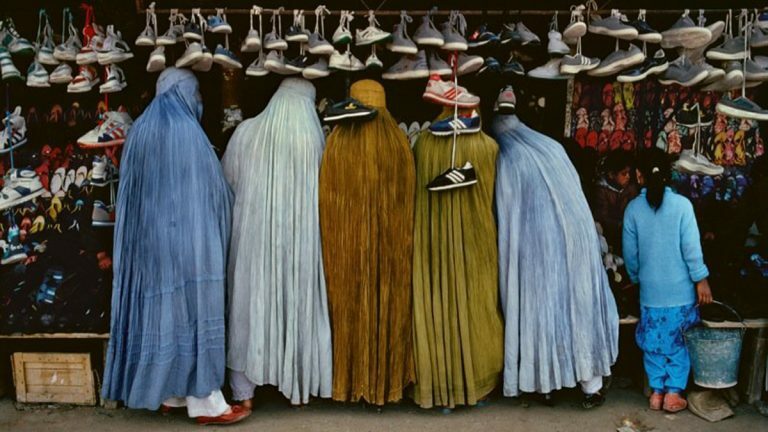 McCurry cites the novel as one of the numerous prompts for his first trip to Afghanistan in 1979, 138 South Pine Street, Doylestown, PA. Pictured: Steve McCurry (b. 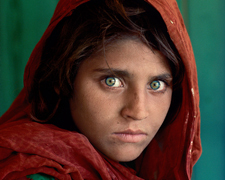 1950), Afghan Girl, Peshawar, Pakistan, 1984, Archival pigment print, 60 x 40 inches, courtesy of Steve McCurry. The first New Jersey Fringe Festival takes over downtown Hammonton August 5-7. 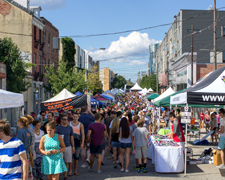 Access to the outdoor festival area is free and open to the public and features street performers, musicians, interactive art experiences, food vendors, and a craft beer and wine garden. Venues within walking distance of the festival’s hub, Eagle Theatre, will feature 15 specialty theatrical performances that range from 25-75 minutes and will be performed multiple times throughout the day, Hammonton, NJ. 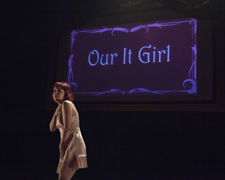 Pictured: “It Girl,” presented by Amanda Schoonover, Brenna Geffers, and Anthony Crosby. 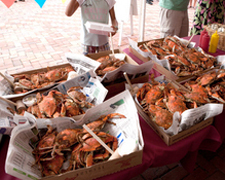 The Riverfront Blues & Bar-B-Que Festival returns August 5-7 to the Tubman-Garrett Riverfront Park in Wilmington, DE. 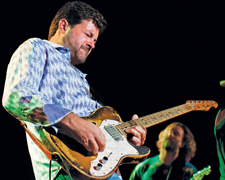 This outdoor music festival features performances by artists such as Big James, Tab Benoit (pictured), Butch Trucks, Mr. Sipp, Larry McCray Band, Ruthie Foster and more. Festival doors open on Friday at 4pm. Bring lawn chairs and blankets! Children 12 and under admitted free. Photo courtesy of Jerry Moran, NativeOrleanian.com. August is Peach Month and Linvilla Orchards celebrates with its annual Peach Festival, Saturday, August 6, with live music, story time, costumed characters and other children’s activities, homemade jam making, and the opportunity to pick your own peaches and other fresh fruits and vegetables, beginning at 8am, 137 W. Knowlton Road Media, PA. Rain date is August 7. 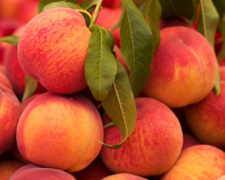 Peddler’s Village hosts a Peach Festival and Sidewalk Sale, Saturday and Sunday, August 13-14, 10am-6pm, with peach treats, musical entertainment, children’s activities and more, Routes 202 & 263, Lahaska, PA. Free admission and free parking, rain or shine. 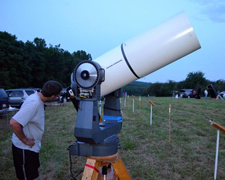 The Chesmont Astronomical Society’s annual Starfest is Saturday, August 6. Gates open at 5:30pm for telescope setup, with children’s activities, door prizes and the opportunity to view the night sky through a variety of telescopes at Hopewell Furnace National Historical Site, 2 Mark Bird Lane, Elverson, PA. Mark Menzel, NASA Mission Systems Engineer at the Goddard Space Flight Center in Greenbelt, Maryland will give the keynote address on his involvement with the James Webb Space Telescope, successor to the Hubble Telescope, currently in space. Rain date August 7. Bring a lawn chair, blanket, picnic dinner, and flashlight! Admission and parking is free. Photo courtesy of the Chesmont Astronomical Society.The Franklin Institute hosts the monthly stargazing event, Night Skies in the Observatory, as Chief Astronomer Derrick Pitts focuses on the theme of Asteroids, Comets and Meteors with a lecture for ages 8 and up and viewing from 5 different rooftop telescopes, plus free star maps, Thursday, August 11, 7pm-10pm, Fels Planetarium, Bloom Observatory, Franklin Theater, 222 North 20th Street, Philadelphia. ** UPDATE – Due to the weather forecast, Starfest will now take place on its rain date: Sunday, August 7. Bridge the gap between Pennsylvania and New Jersey with the annual Festival of Lights, Saturday, August 6, hosted by the Greater Burlington Chamber of Commerce and the Historic City of Burlington, NJ. Festivities begin at 3pm with food, vendors, and children’s activities, and live music by Acoustic Explorer at 4pm, followed by the Privileged Few at 6pm. 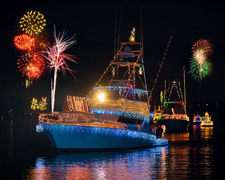 The decorated and lighted boat parade takes off along the waterfront at 8pm, culminating in a fireworks display. Rain date Sunday, August 7. Free. The 5th annual Cape May Craft Beer & Crab Festival returns Saturday, August 6, 11am-6pm, with live music all day on an outdoor stage featuring Sean K. Preston, New Pony and Funk Soul from Philadelphia, The Honey Hawks, James Calleo and The Steel Rope, and more, plus an old-fashioned Victorian circus, crafts, children’s activities, art, and beer and crabs, at the Emlen Physick Estate, 1048 Washington Street, Cape May, NJ. Admission is free with charges for some activities and food. 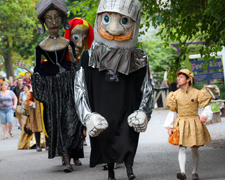 Photo courtesy of Mid-Atlantic Center for the Arts & Humanities. 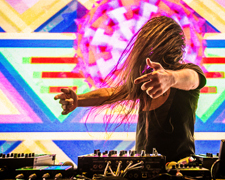 The Moonrise Festival returns August 6-7, with Bassnectar, Tiesto, Zedd, Bro Safari, Excision, Tritonal, Flux Pavilion, Griz, Marshmello, Young Thug, and more at the Pimlico Race Course, 5201 Park Heights Avenue, Baltimore, Maryland. 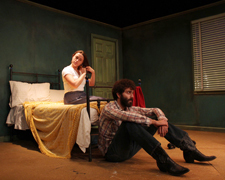 Princeton Summer Theater closes its season with Sam Shepard’s Fool for Love, August 4-14. The award-winning dark exploration of love and family focuses on two “fools” – May and Eddie – bickering former lovers in a motel room in the Mojave Desert. Starring Olivia Nice, Matthew Seely, Jake McCready, and Connor McElwee and directed by Ogemdi Ude in the Hamilton Murray Theater on the Princeton University campus, Princeton, NJ. 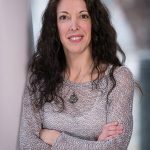 Talkbacks take place on Sunday, August 7 with the cast, director, and Jill Dolan, Dean of the College/Professor of Theater and English at Princeton University, and on August 15 with the cast and director Ogemdi Ude. An ice cream reception follows the August 6 matinee performance. Photo by Ogemdi Ude.